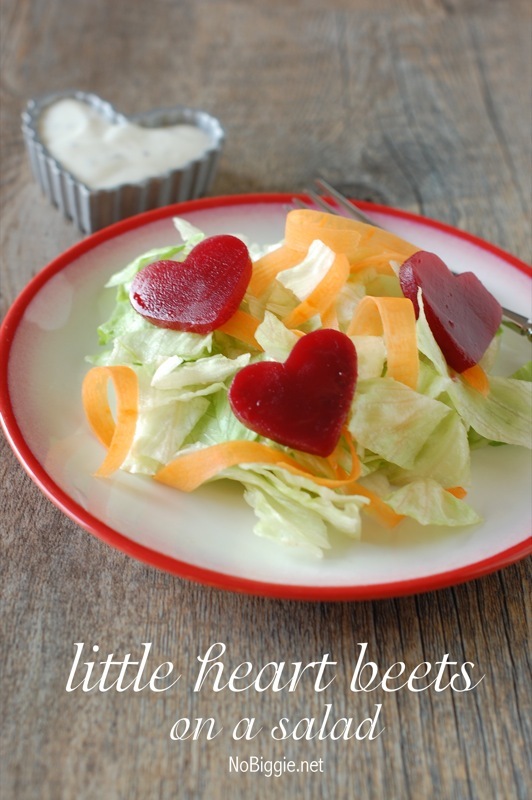 Tiny heart shaped pickled beets, the perfect Valentine’s Day salad topping. Time now to declare my love for pickled beets. I say that because I have a couple friends that tease me and think it’s sooo funny (and gross) that I love pickled beets…but I do love them, I really do. You might remember the beet salad on a stick , but here’s a quick way to consume and present your sliced pickled beets in a pretty way for Valentine’s Day. 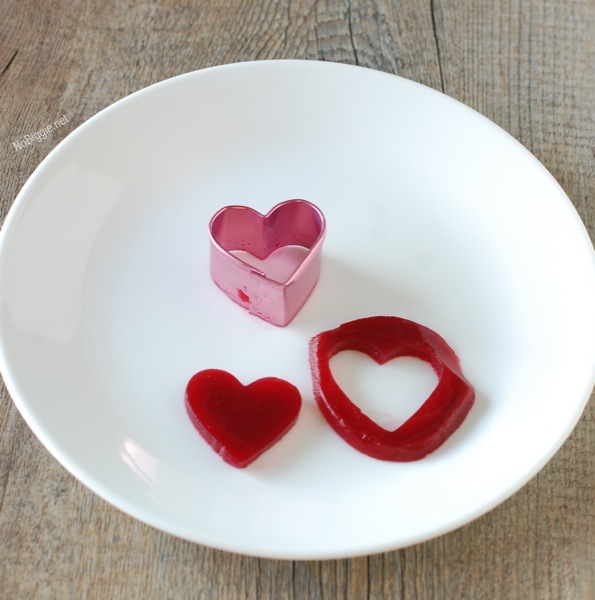 To make them, find the tiniest heart shaped cookie cutter you have and just press down on one beet slice to make these tiny hearts, I mean heart beets. 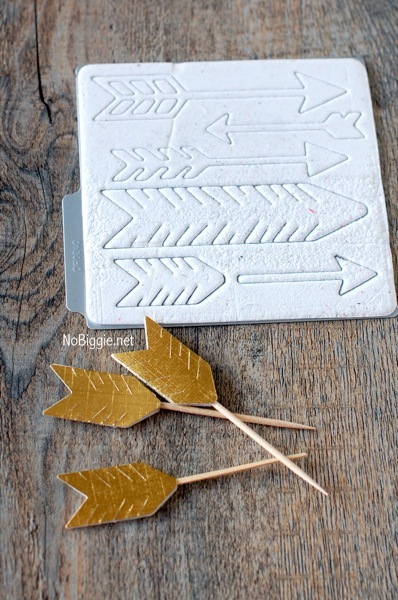 To make the little tooth pick arrows, I used this arrow cutting die from We R Memory Keepers. I love that little die, it’s perfect for Valentine making. Tell me are you a beet lover too? Or do you strongly dislike them? 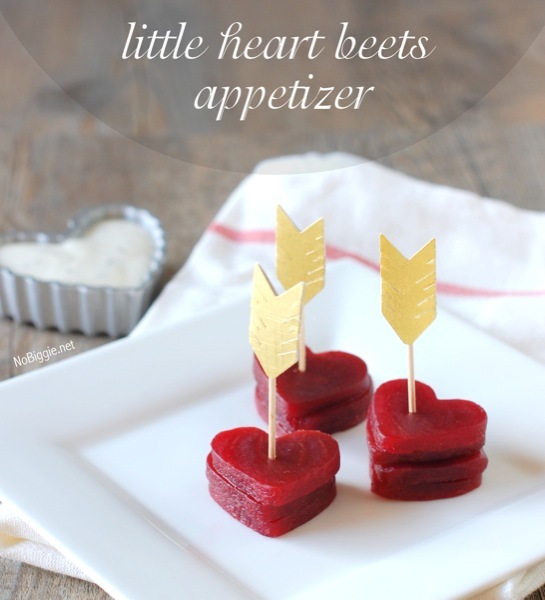 i think i’ll be adding little heart beet salads to our valentine’s dinner this year. Oh good! Thanks Jen! I love that you do a Valentine’s Day dinner. So fun! These are so cute (and so punny!) I’ve been living under a rock on Mars for the last twenty-odd years and I don’t think I’ve ever actually eaten a beet, but reading this makes me want to try one. Thanks for sharing! You make them look so good! Maybe, just maybe this might help me like these little guys. Super cute apps! I never used to like beets but my husband did and my CSA always gave me an abundance of them. I learned to pickle and can them and now I love them. I also love them roasted. If you don’t pickle your own, you are welcome to stop by and grab my easy peasy recipe. Thank you so much for the cute idea. I think I will use it when I make my hubs his valentine dinner this year. Kami, this is so darling! Thanks for the great idea to make salads more fun during the holiday! Love these heart beets! Such a cute idea!